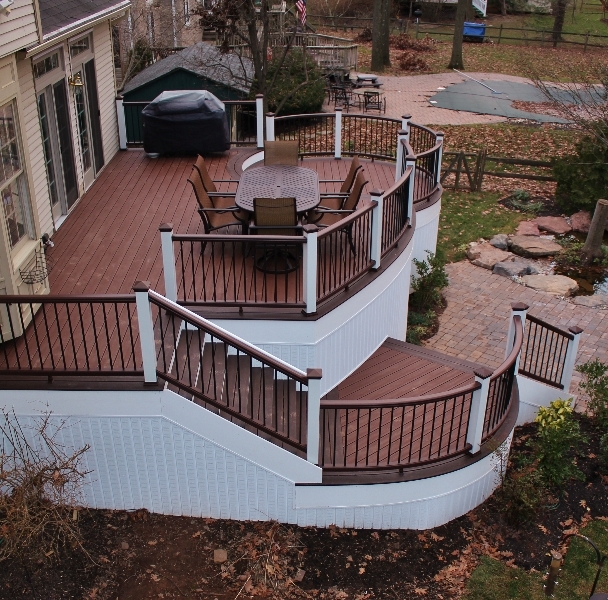 At Amazing Decks, we believe in thinking a little outside the box – and outside the traditional deck. 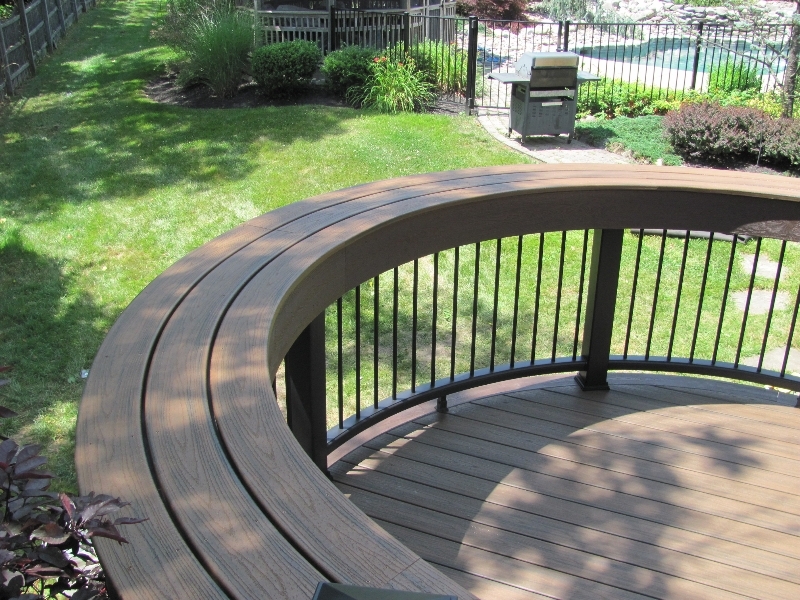 Our curved deck designs bypass any ideas that a deck should be angular and predictable. 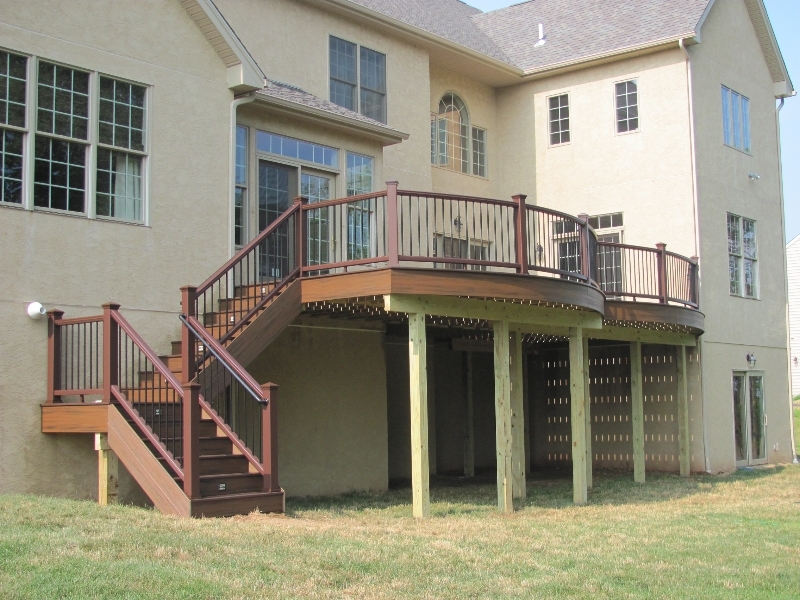 Why build a round deck? 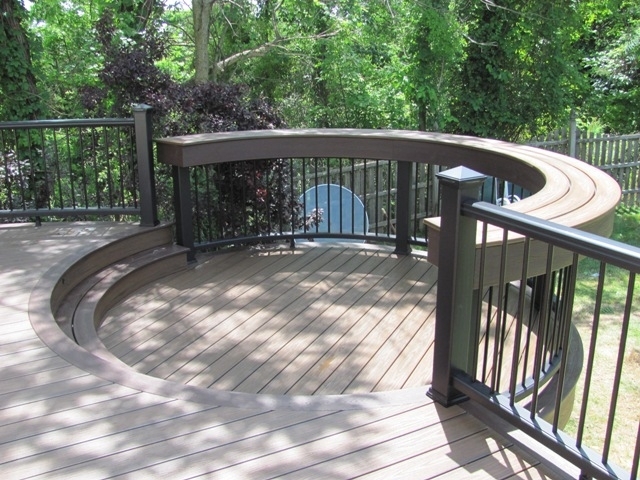 Lots of reasons, but the reason why most of our customers choose curved deck designs is because the end result is a fantastic enhancement to the aesthetics of their property. 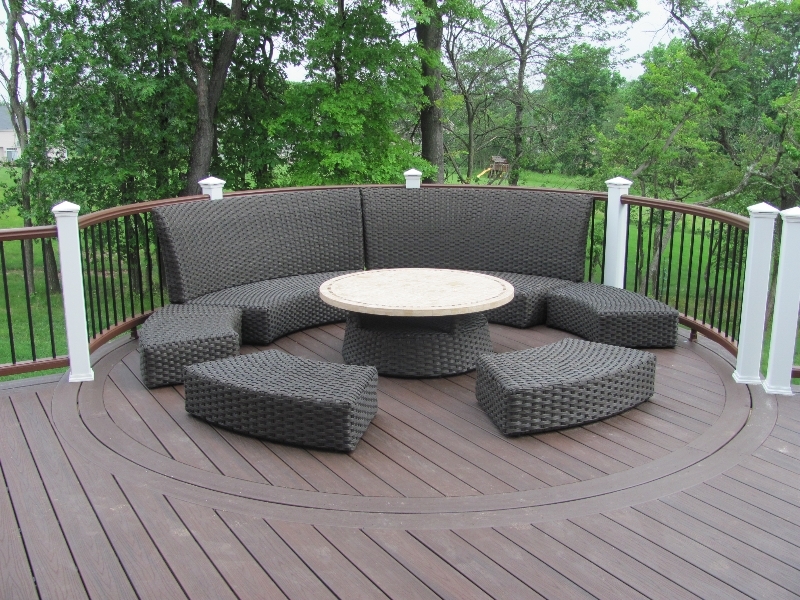 This is particularly true if the plans call for a circular fire pit. 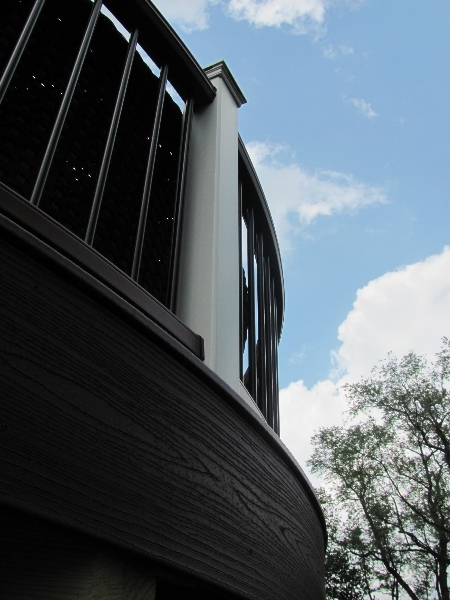 All the lines flow together for cohesive beauty. 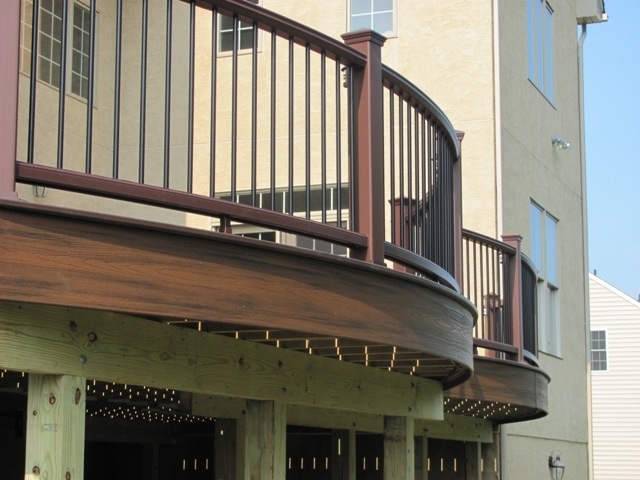 Our builders are well-trained in constructing exceptional curved decks, and we have all the necessary equipment to heat and bend Trex Transcend decking and railing. 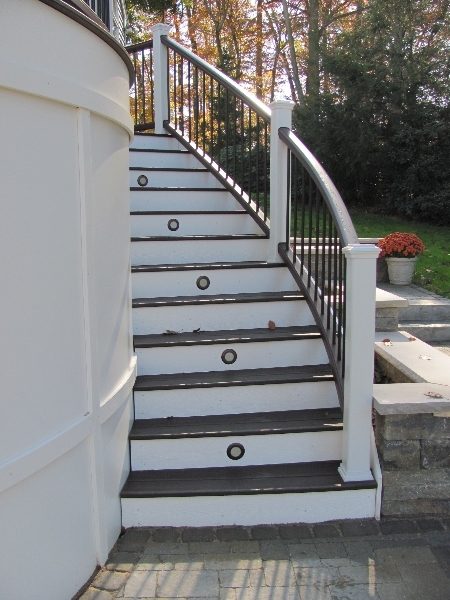 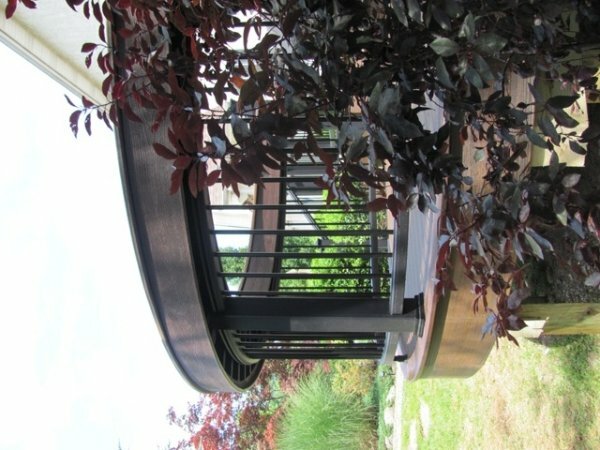 This allows us to create fashionable curved steps that take you from the deck to the back yard rather than the “standard” straight flight of steps. 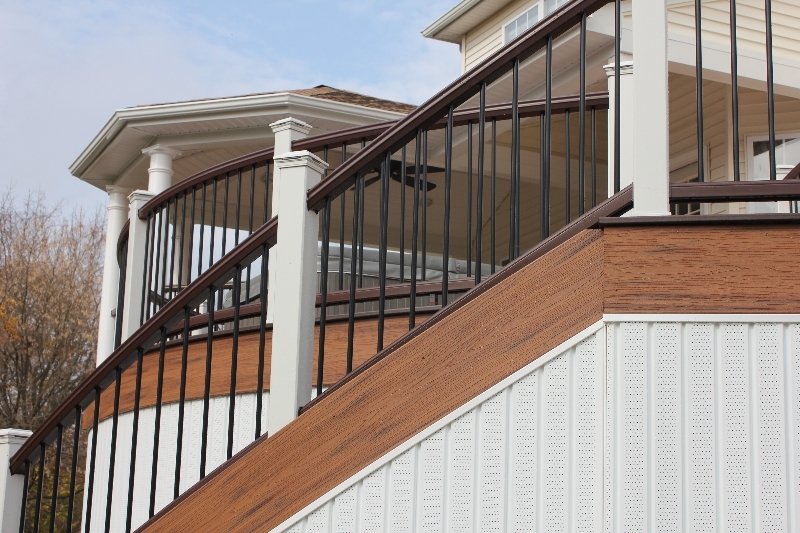 It’s one of many ways to add a touch of elegance to your home’s décor. 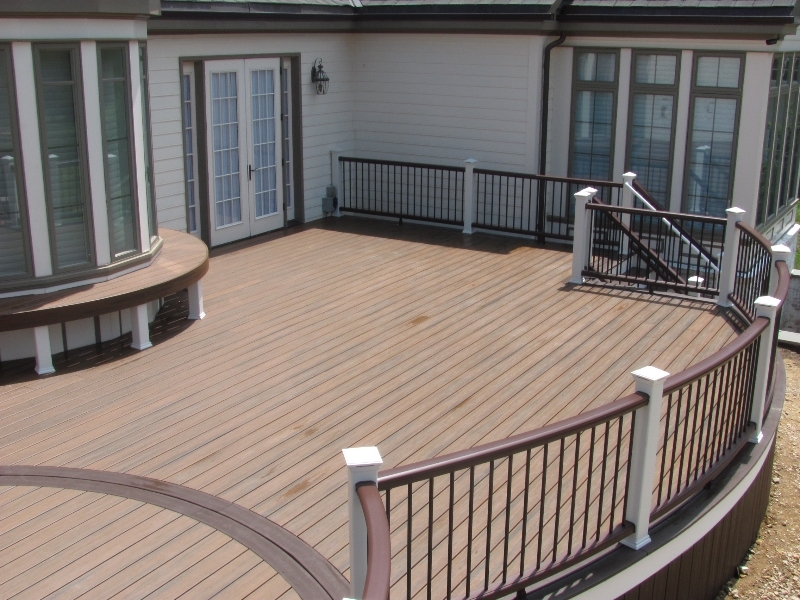 The list of activities people enjoy on their decks is endless. 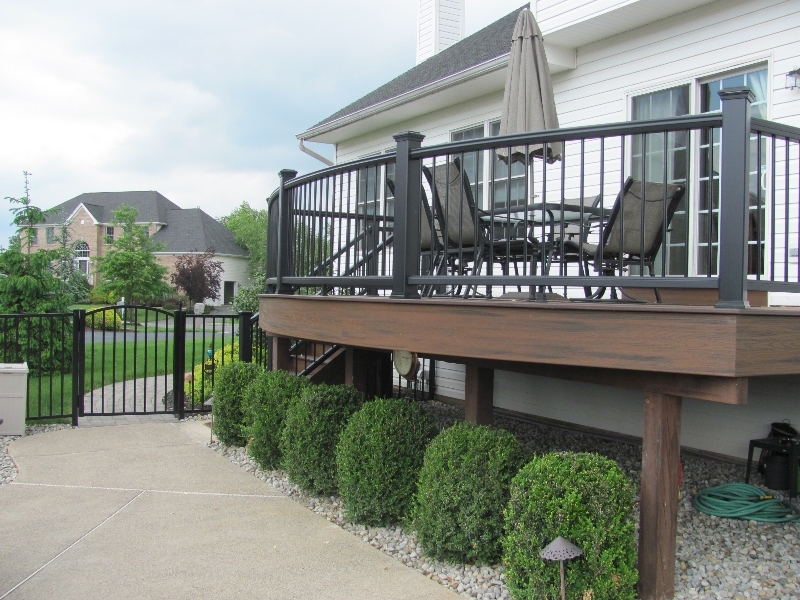 Outdoor entertaining is growing in popularity, and there’s no better place for dinner parties, social events, games and celebrations than on a custom-built outdoor living space by Amazing Decks. 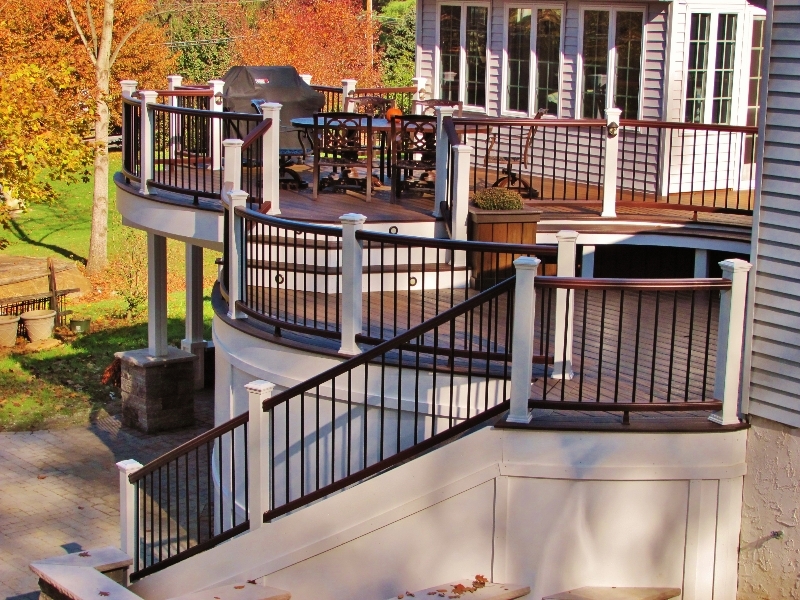 By adding a fully functioning kitchen area and perhaps a lush pool or hot tub, you’ve got an extension of your home that might end up being used more than your actual home. 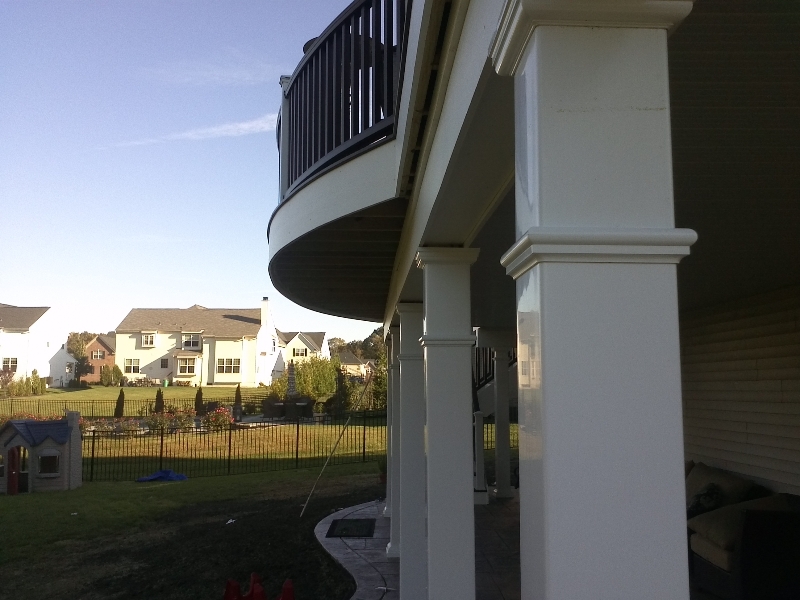 Your job is to tell us what you want, and our job is to exceed your expectations with the finest craftsmanship and materials available. 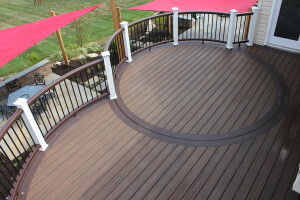 You can have a look at some of our amazing round decks by visiting our deck portfolio page. 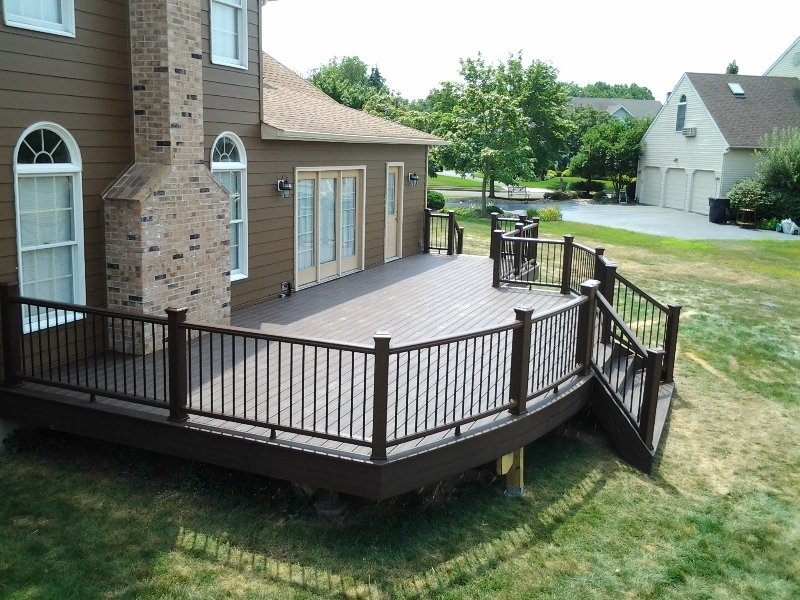 It won’t be hard to imagine how this style of decking will bring satisfaction to your family and impress all your guests over many years to come. 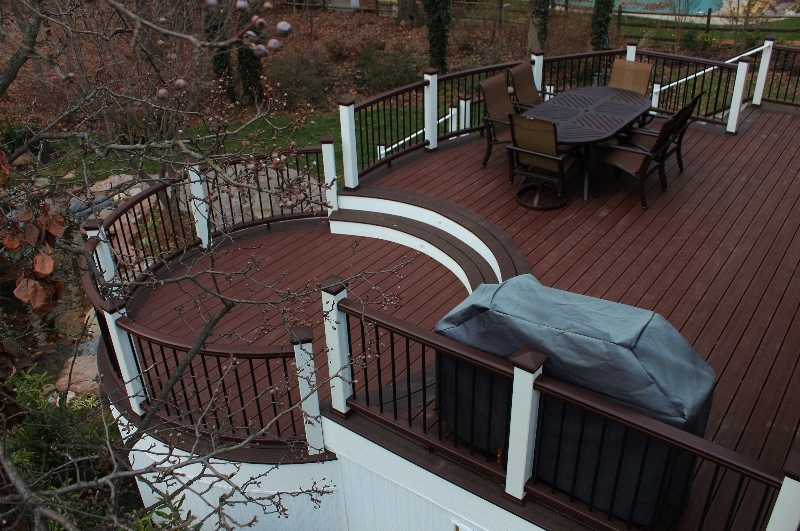 Want to learn more about our curved deck designs and how they will truly compliment your lifestyle? 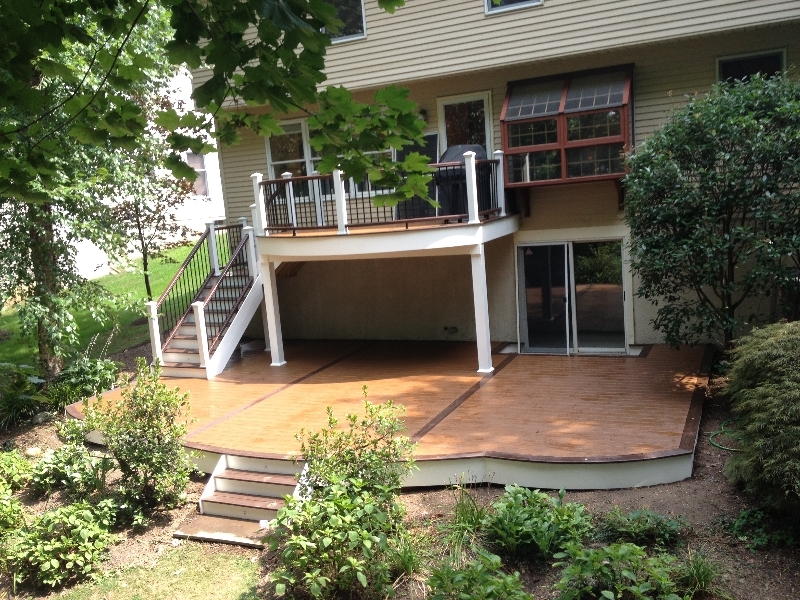 Would you like a prompt free estimate? 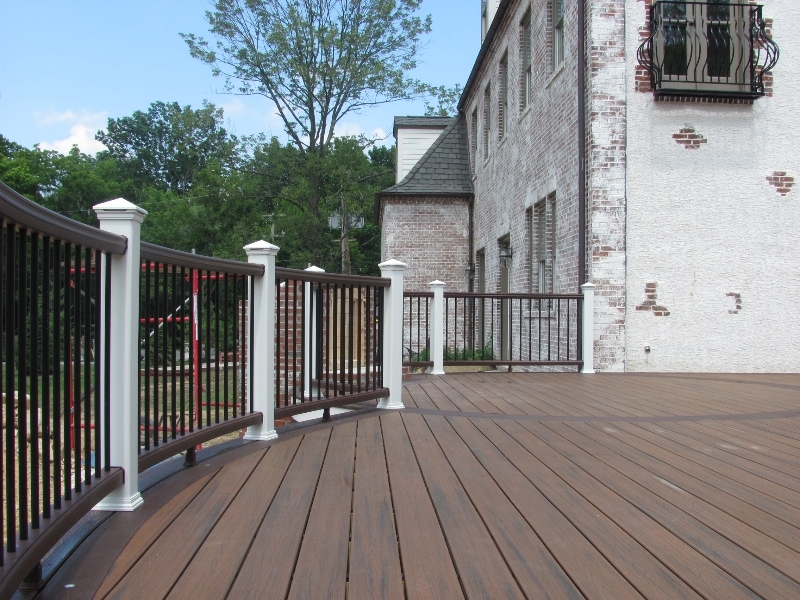 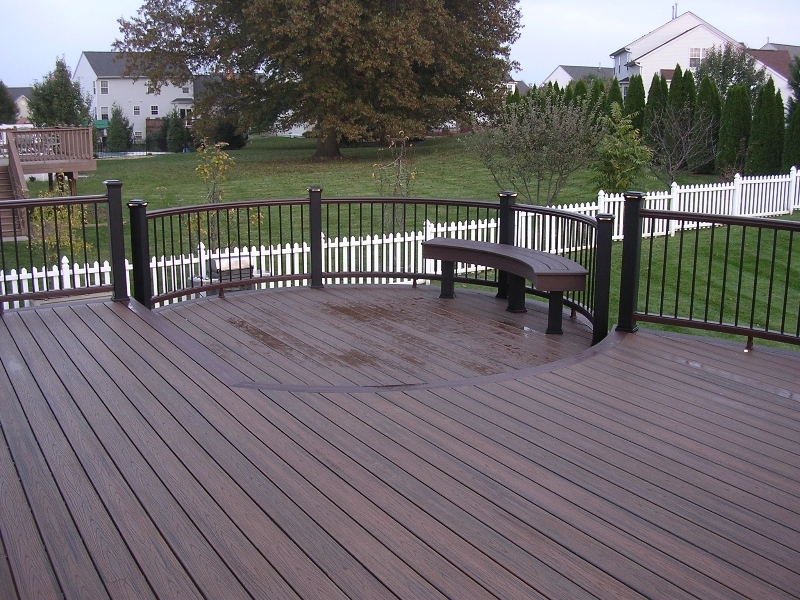 Call Amazing Decks at (215) 654-1886, or stop by our showroom at 11 South Ridge Ave. in Ambler, Pa. We look forward to hearing from you. 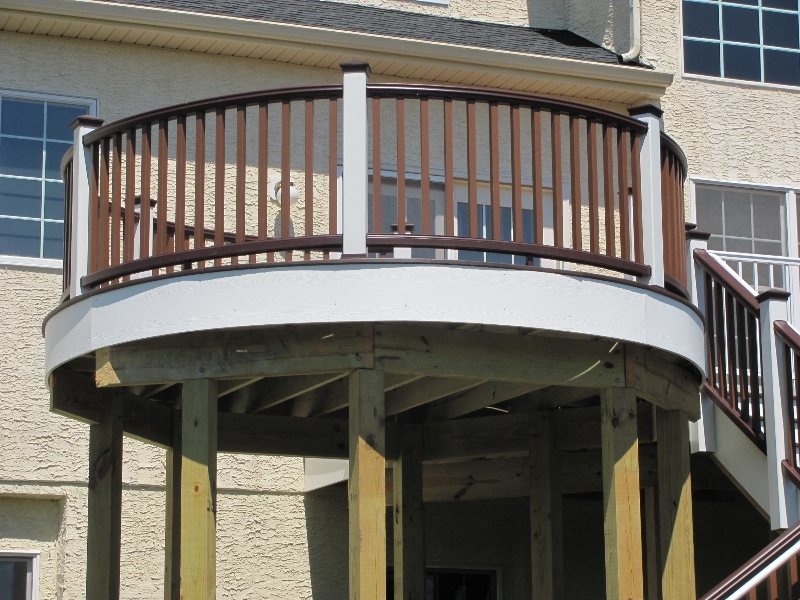 For information about round deck designs in New Jersey, please call us at (215) 654-1886 to learn more.